Born on the 25th of March 1934, Dr Philip Nchipi Tabane breathed his last breath on Friday morning the 18th of May. 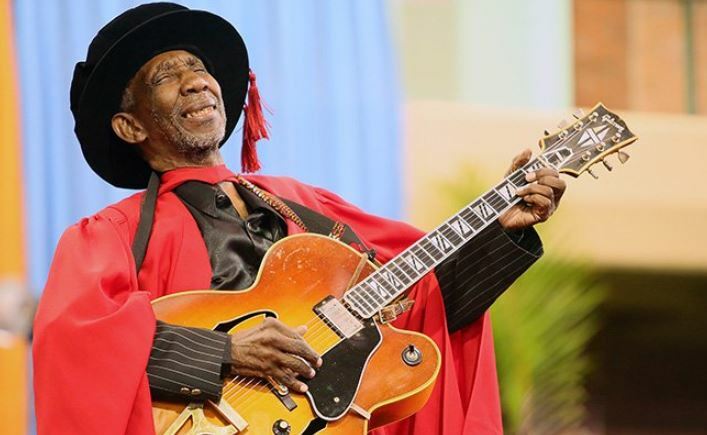 His death was announced by the Department of Arts and Culture who tweeted, "We are deeply saddened by the news of the passing of one of South Africa's most innovative jazz guitarists described as a quintessential African performer Dr Philip Tabane's." He learnt playing a guitar from a very young age and presented a clear musical aptitude. His career took off in the 60's and he became a renowned jazz musician both locally and internationally. Whilst in America, he worked with the likes of Miles Davis. He was the founder of Malombo Jazzmen and is remembered by those who had the honour of working with him as a leader and mentor. He also did a great deal of work in anti-apartheid movements. He produced the score for the documentary Last Grave at Dimbaza, which shone a light on the harsh realities of the apartheid regime and directed attention to the poor circumstances in which black people lived. Thankfully and rightly so, his work did not go unacknowledged. In 1998 he received the Lifetime Achievement Award at the SAMA's as well as an honorary doctorate from the University of Venda for his contribution to the music industry. Dr Tabane's life has been remembered by many on social media and his works celebrated. President Cyril Ramaphosa gave a statement following his death saying, "It was truly healing and uplifting listening to his music and watching him perform. His physical silence leaves a great void but his sound lives on in our nation's heart and memory, and our cultural heritage."